Please join us in the Readings Gallery for a free 1-hour introduction to this intimate, 4-week workshop series beginning Monday, March 25th, which will take place at the Cordata Community Food Co-op Roots room. Led by Certified Infinite Possibilities Trainer, Mark B. Polin, who teaches the Truth about how you are a powerful creator and empowers you to start creating life ON PURPOSE! Learn how to leverage the Universe and really see how magical life is! Workshop is based on the book Infinite Possibilities: The Art of Living Your Dreams by Mike Dooley, also author of Notes From The Universe and Thoughts Become Things, and contributor to The Secret DVD. Great for anyone feeling stuck and seeking to make significant changes in Relationships, Career, Money, Health, and, most importantly, Well Being. Helps bust through limiting beliefs and aligns you with the life you really want and deserve. 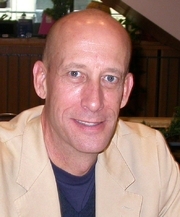 Mike Dooley is currently considered a "single author." If one or more works are by a distinct, homonymous authors, go ahead and split the author. Mike Dooley is composed of 1 name.